Shri Bhora Mata temple is located in the basement of Jeen Mata Temple. She is revered as the goddess of a poisionous fly called as bhura moh by the locals. The temple is located at a distance of 30 kms from the Sikar and 120 km from Jaipur district of Rajasthan. As per the legend, Mughal emperor Aurangzeb wanted to destroy the Mandir of Jeen Mata and therefore headed to the temple with his army. On listening to this, the priests of Mata invoked her by doing tapasya. 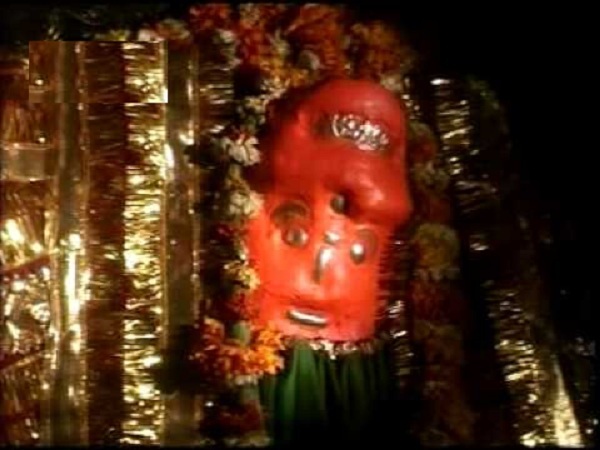 The holy mata, let out the army of bhura moh to attack the emperor and his army. Aurangzeb couldnt face the raze of bhura moh and conceded his defeat. Mata's bhoras have forced the emperor's army to their knees. He sought pardon and started apologizing and worshiping the great Mata. The kind hearted mataji then, excused him from her anger. As a token of respect for the holy godess, Aurangzeb donated the "akand jyoti" or the ever glowing oil lamp to the temple. The same lamp is glowing till now for more than 400 years in the sacred sanctorium of the Bhora Mata. Temple Timings: From morning 5 am to 10 pm on all 7 days. The temple has good connectivity through road. One can take bus from Sindhi Camp bus stand Jaipur or can drive down to the temple. Option to train is also available.The nearest railway station is Goriya which is 15kms from the temple.